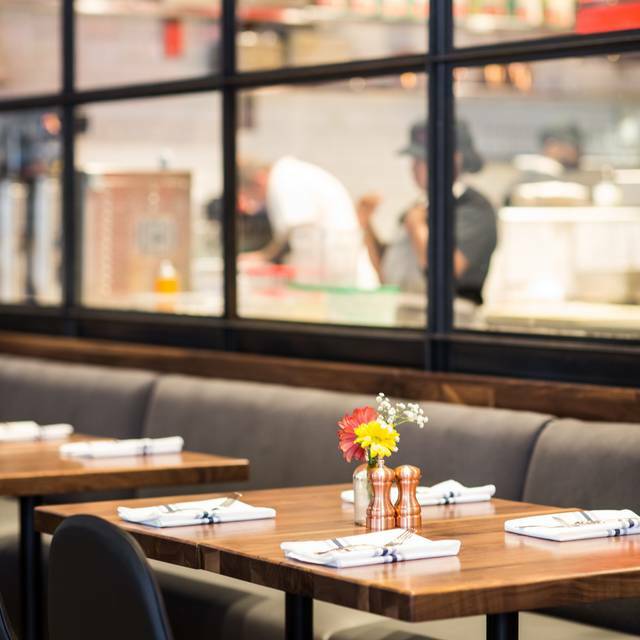 You must make reservations at least 5 minutes in advance of the time at North Italia - Plano. Everyone has a favorite dish at North. Every day, our Chefs start from scratch to create handmade pizza and pasta using only the best ingredients to craft inspired dishes from the garden, farm, and sea. 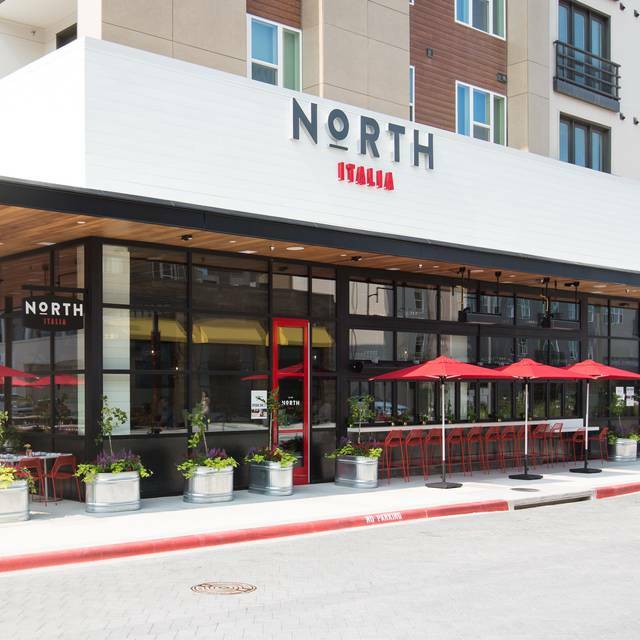 North defines the standards for handcrafted Italian. 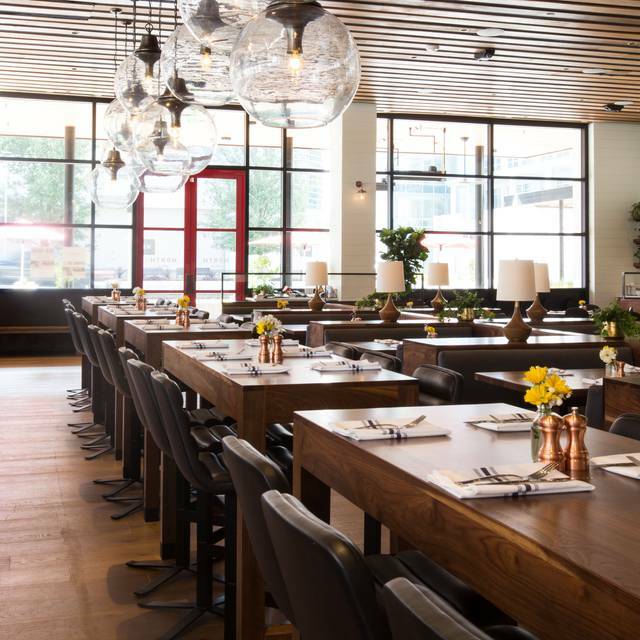 Our menu offers a great selection of antipasti (daily soup, charcuterie, bruschetta), salads full of seasonal ingredients, and a main entrée menu driven by both traditional Italian cuisine and lighter fresh fish dishes. 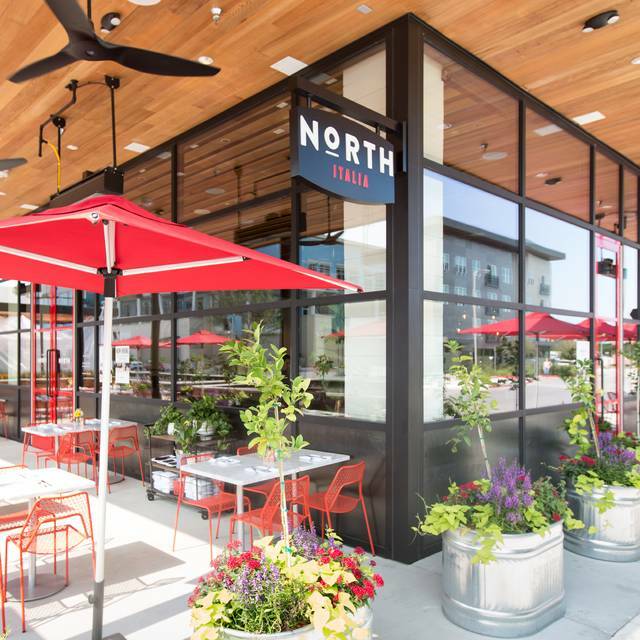 North is a great neighborhood spot for family and friends to meet and share a handcrafted experience. From the food to the service, at North every detail matters. Rahr & Sons "Texas Red"
Revolver Brewing "Blood & Honey"
Raise a glass this Mother's Day! 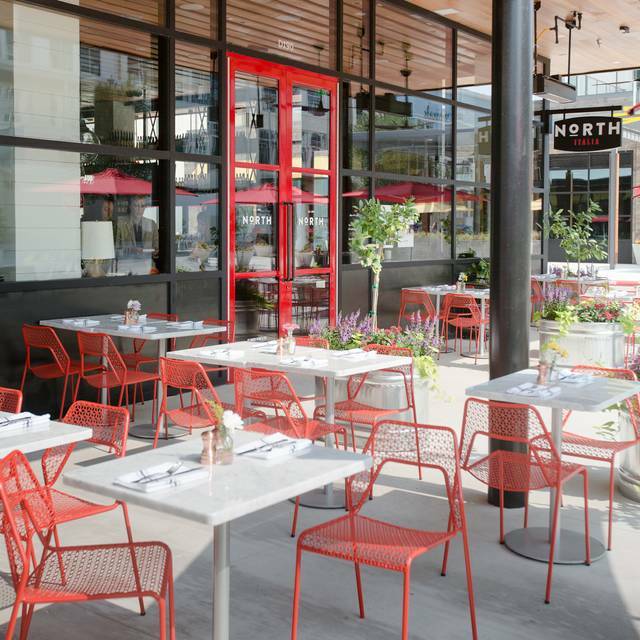 We invite you to savor something special and celebrate Mom at North. Choose from one of your favorites or try something off our Mother's Day Features menu. Reserve your table today! This was my 3rd visit. The service is subpar, its too busy and the servers are not attentive. The prices are too high to come for subpar service, cool food and a long wait to receive it. Server was attentive and food was wonderful! Seated right away. (Had reservations). Kelsey (waitress) was friendly and took our orders promptly. One meal was forgotten so we had to wait (well after everyone else ate) but it was made right by it not being included in bill (appreciated). We were seated immediately, which was appreciated. Hostesses and servers were all good. However, our food took over an hour to arrive. The waiter apologized and said “I’m sorry the kitchen is backed up.” I understand this happens from time to time, but this was my experience the last time I dined here. This is our third visit and everything we've eaten we've loved! Service is good, quick and accommodating even to a request for a table when they had us ready to sit in a booth. We love the place! Great service with a excellent GM. Kudos to Marlon. Love North Italia. This time we had Brandon as our server and he is one of the best! He gives great service but also has a great personality. Made the night extra special with his personal touch. I always customize my dishes and it’s never a problem. I do low carb so I had the Branzino fish I with zucchini noodles and cream sauce and it was fabulous. There’s a reason this place is always busy. I highly recommend reservations. Thank you North Italia for never disappointing. It was delish! Service is usually great and on this particular evening is was really slow and sparse. We were in no hurry but it seems that benefit was overextended as we were there for just over two hours. We were seated quickly upon arrival. Although we waiting for another guest our waiter was slow to bring us water and take our drink order. Once we were finally able to order a bottle of wine, he took his time bringing it to our table. He walked around with our bottle, talking and laughing with other servers before he finally decided to bring it to our table. And they weren’t even very busy he was less than enthusiastic about his job. We had an enjoyable evening with good food and a nice atmosphere. 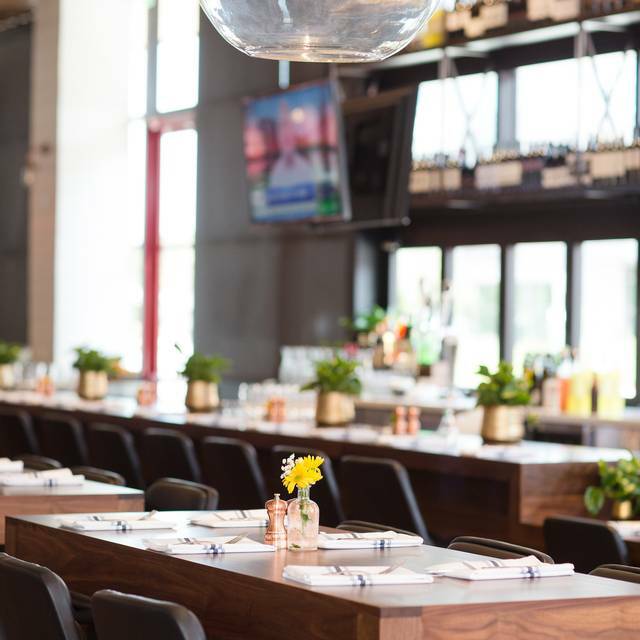 The restaurant was very busy and seemed a little understaffed so our service was not as good as we had expected, we didn't get water refills or additional drinks we had ordered mid-meal. However, we would definitely go again as all meals were delicious. 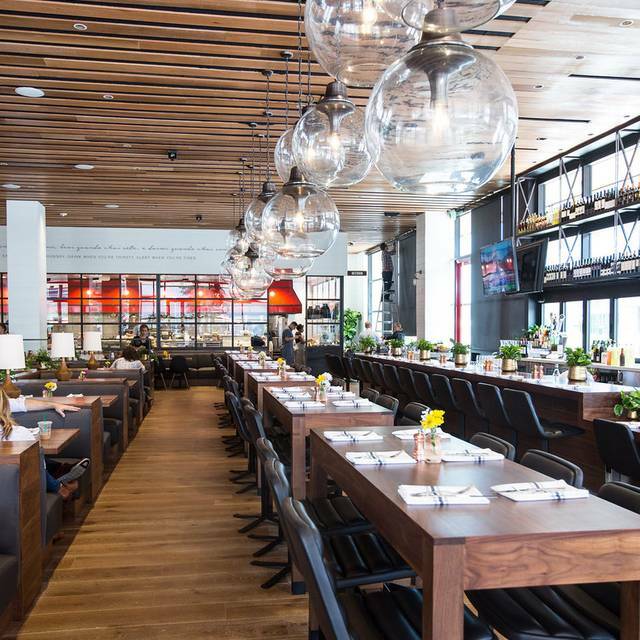 Good atmosphere, friendly servers and delicious food! The General Manager was the only down side to the evening. He was unprofessional and rude. Everything else was amazing. The food and service were great! We will be back! The food was great!! The zucca chips were too oily this visit, but usually amazing. They didn’t charge us for them since they didn’t come out perfect. Great service. Always great food and great service. The staff Did a great job of taking care of it on a special occasion. We will be back. Very disappointed on this experience. Service was less than good. Food was just fair. Staff accidentally spilled water all in my lap. Maybe it was just an off night. Will try again but with caution. Lovely outdoor dining! Best kale salad with Salmon! Best iced tea! Service was outstanding! This was the 5th time in a month that I've had the pleasure of eating here. It is, without doubt, one of the best dining experiences I have ever had. From the menu to the service from the appetizer to the dessert, everything was absolutely perfect. My favorite is the Pasta Bolognese. 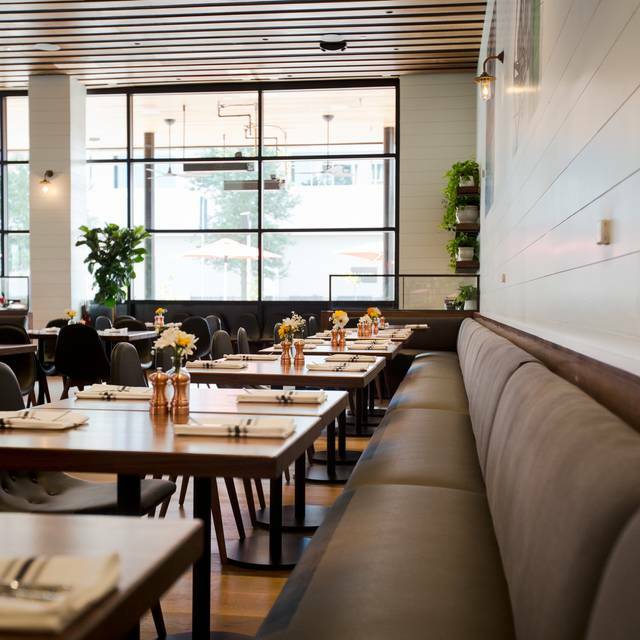 First impression was of a bright and airy restaurant with a clean, almost clinical look. Our waiter, who was new, was very attentive and provided excellent service throughout our meal. The food, however, did not live up to expectation. I had roasted salmon which, despite the waiter asking if medium was okay, came out a little overcooked and dry. It was also saturated in salt, as were the accompanying beans and broccolini. Will I try this restaurant again? Maybe I'll give them the benefit of the doubt. Great place to celebrate my daughter’s 13th birthday with the family. Arrived at 4 PM guessing it was change of shift because we had to wait for table though not crowded. Service slow to start until shift change was complete. Outside of that always the best service best food best experience. Decision moving forward.... wait until 4:30-5:00 for reservation next time. great food and excellent service...wide open dining area creates high noise level, but the food and the service make up for the louder dining area. Food and service was excellent. Will definitely become a regular go-to spot. The foods were so good! That place feel cozy and comfortable! Went with my friend for having lunch! We love that foods! Always a good meal! I love the seasonal vegetable salad, chicken parm, calamari is glorious! Short rib pasta is amazing! Great bar too! Food was good, service was average, not quite attentive enough for me, our table was wobbly but we managed not to spill. The place has a fun atmosphere and overly noisy. Liked half price wine nite. Most places over charge for wine so I tend not to buy it. Over all I like the place, I know we’ll be back for another birthday celebration. Good food, good service and good ambience. Worth the visit!